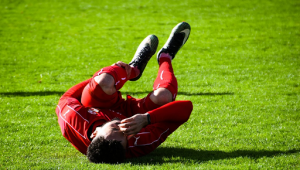 For the serious athlete, anytime you have an injury you would be wise to get a medical evaluation to make sure it will not impact your physical activity. The sooner the injury is looked at and treated, the faster it will heal properly and cause less issues in the future. But if you are unsure about your particular situation, here is a good guide to let you know if you should seek medical advice. Swelling and inflammation: After an injury the area that was damaged will have excess fluid accumulate in the tissue. This a natural response to an injury and icing the area usually helps. However, if swelling lasts for more than 2 weeks, the tissue may be damaged more than you think and you should get it evaluated. Motion of joint injured: At our office we always assess motion within an injured joint. 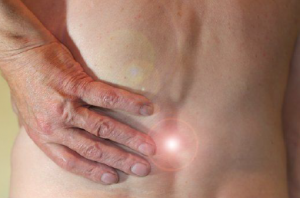 If you have difficulty moving area of your body due to pain, it is likely a soft tissue or nerve problem. If you have an issue moving because it just feels stuck, it is likely an alignment or tracking problem that needs correction. Weight bearing: If you cannot put weight on the painful site, it is important to get it assessed right away. Onset of injury: There are three types of injuries we commonly see in our office. Injuries that occur from a specific trauma, such as a fall or hit are easy to diagnosis. The sooner they are treated the better the results. Pain that comes on gradually and slowly builds up tend to become chronic issues if the athlete ignores it. 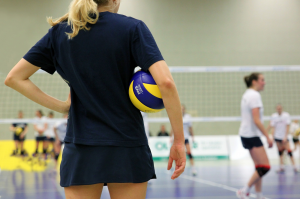 Often a young athlete can go his or her entire sports career without getting some of these issues treated, but often pays for it as an adult developing arthritis and degeneration much earlier. Sudden onset pain with no known cause are of greater concern. If you wake up with pain or have sudden loss of motion in your neck, back, or joints it is recommended you get in for an examination as quickly as possible. Even if the issue resolves itself quickly, it is likely to resurface time and time again. Type of pain: If you describe your pain or discomfort as numb, burning or tingling you should have an evaluation at our office as soon as possible. These are all neurological pain descriptors and could become permanent if not addressed. Associated symptoms: It is important to address any other symptoms you are experiencing digestive upset, pain with deep breathing, headaches, cracking noises in joints, noticeable reduction in flexibility, range of motion, or strength. Sometimes these symptoms are related to issues in your back or neck and you are not even aware they are connected. Serious symptoms: If you even question that your issue is serious, please seek medical assistance immediately. Some major warning signs include but are not limited to dizziness, lightheaded, blurry or tunnel vision, slurred speech, unclear thinking, and shortness of breath. At Desired Health Chiropractic we assess biomechanics and neurology of the body so we can find issues before they make things worse. We want our athletes to feel, function, and perform at their best. Call our office today for a free assessment of what you can do to improve your movement and enhance your athletic ability – 763-205-6192. Seat height and width: A perfect chair would allow you to put your feet firmly on the floor or a sturdy foot rest. It should also allow you to support your low back on the back of the seat. If you are on the shorter side, you may need to supplement with a cushion or lumbar support to get the perfect fit. Computer height and distance: Make sure that your eyes are level with the middle of your computer screen so you are not looking down with your head even slightly. Another common problem is that people will lean forward slightly with their head or shoulders in order to see the screen better. Instead, just move your computer screen closer to the edge of your desk or enlarge your font so you can read it easier. Desk height: It should be comfortable for you to utilize your computer with your arms at a 90 degree angle to your desk. If your desk is too high or too low, it will put extra strain on your upper back and shoulders. 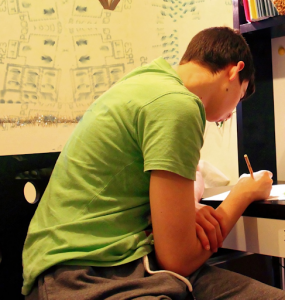 Twisting: Often people have work stations that are set up so you have a computer slightly to the side or in a corner where you have to twist your body and chair to be in a better position. Make sure that the majority of time you are working allows your spine to be in a straight, neutral position. Forward head posture is displayed in people who have prolonged texting, computer, or phone use. This will weaken neck muscles and tightens upper trapezius to reduce range of motion. Spinal assessments of the neck and upper back are essential to correcting this poor posture finding. Sitting with your head forward one inch is equivalent to adding 10 extra pounds of pressure on the spine. This is a very common reason why people experience tension headaches! Rounded shoulders are the most common posture finding because as humans we spend so much time sitting. This posture will cause weakness in the upper extremities and cause the neck to tighten up. At our office we address the spine where the neck and upper back meet, because often the nerves in this area are irritated. Many patients find a huge increase in strength, range of motion, and pain reduction as soon as this is fixed. A slouched back while sitting is also common but easier to correct. Weak core muscles can result from this position. Doing strength exercises for the abdominal and lumbar spine muscles can help with this issue long term. Interestingly, alignment of the low back and pelvic area are essential to keeping your body in the proper sitting position. We often find tightness or fixation at the pelvis that people were not even aware was restricted. Poor posture is a symptom (just like pain or dizziness). It tells us something with your nerves is impacting how you hold your body. At Desired Health Chiropractic we do a full spine analysis as well as motion and posture assessment to determine if your alignment is affecting how your muscles work. Have you ever had a muscle knot that would not go away even if you had it worked on? This is because the muscle is told what to do by the nervous system and “knotting up” is a protective mechanism that happens when the surrounding nerves are irritated. If you notice that you or your children have horrible posture, come in and get an assessment to see where the issues are stemming from. Call us today 763-205-6192. An athlete needs to have the body working in perfect order to have any competitive advantage. Look at Olympic athletes and you can instantly see that their muscles move them in perfect precision to the sport they are trained in. There is a lot of attention to the muscles of these athletes, mainly because we can visibly see how strong and active they are. However, the muscles are told what to do by a system in the body that is invisible to us on the outside. Muscles are controlled by nerves which lead back to the spine to travel up and down the cord to the brain for proper communication. If you remove the nerves from the muscle it can do nothing- it is just a lump of useless tissue. “Muscle Memory” is actually a neurologically trained phenomenon where the brain sends signals throughout the nervous system to move the body in a way it has been programmed or repetitively trained to do. At Desired Health Chiropractic we assess how the nervous system is responding by looking at specific movement patterns. Lack of motion in the neck, back, arms, and legs can tell us if there is a restriction stemming from a point in the spine. Almost all pain in the muscles can be traced to a few irritated nerves by the spine. Once corrected with proper alignment, the muscles can now stay in a relaxed state and move freely. At Desired Health Chiropractic we assess biomechanics and neurology of the body so we can find issues before they make things worse. We want our athletes to feel, function, and perform at their best. Call our office today for a free movement assessment that may decrease your chances of injury – 763-205-6192. Can The Overhead Squat Predict Athletic Performance? 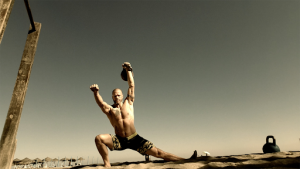 What is an overhead squat and why should I care? The overhead squat is an athletic movement in which an athlete raises his or her arms overhead and stretched out, then bends the knees into a sitting position as low as they can comfortably reach. The overhead squat tells us a lot about spinal stability. Since this motion incorporates every aspect of the spinal column, we use it in our office to assess if there is a neurological impact on the back or neck. Often we can find and correct subtle issues before they become a major issue and impact your sports performance. We can also check the lower extremities using the overhead squat motion. If an athlete has a knee or hip that appears weak or buckles during this movement it is an indication that there is improper tracking of those joints that needs attention and rehabilitation. As we stabilize the knee and hip joints, it will put a lot less pressure on the ankles to prevent very common strain/sprain injuries. The overhead squat is also a great tool to examine the strength and motion of the shoulders and elbows. If the arms drop forward or wobble during the motion we can narrow in on the problem of the shoulder or shoulder blade being an issue. This is extremely important for any sport that involves a lot of throwing or force upon the shoulder at high speeds. Another important aspect of this motion is that it can tell us where most overload is occurring and where the most stress is being placed in the body. When there is muscular imbalance in an athlete’s motion they are most likely to have injury here. #1 Did you know that posture boosts confidence? If you need an instant boost in confidence, try checking your posture. Lift your head and pull your shoulders back. This will stimulate your brain to release endorphins and increase your energy. Strength in the animal world is always dictated by body posturing. The larger and more confident an animal becomes, the greater its chance at winning a fight. The same holds true for humans in the athletic world. If your opponent views you as strong and capable at first glance, you have a much better chance at getting in their head. Did you know that the difference between a person showing confidence and weakness is about 3 cm in shoulder positioning? Scour the internet for pictures of team leaders and influential people. They always have their shoulders pulled back and their head upright. You can instantly tell who is a leader and who is a follower based on posture. So why is it so hard to correct poor posture? You may be able to sit or stand with great posture for a while, but have you noticed that you can’t sustain that position for too long? The main reason people end up with poor posture is because posture is directly related to your neurology. It is a symptom of something else that is going on in your body. Poor posture can lead to muscular tension and damage by being in the wrong position for extended periods of time. Rounded shoulders are the most common posture finding because as humans we spend so much time sitting. This posture will cause weakness in the upper extremities. For athletes who rely on power in their arms or shoulders this is essential to correct. Many patients find a huge increase in strength, range of motion, and pain reduction as soon as this is fixed. A slouched back while sitting is also common but easier to correct. Weak core muscles can result from this position. Any since most sports draw power from the abdominal and lumbar spine muscles, correction in this area will give an athlete a huge competitive advantage. Forward head posture is displayed in people who have prolonged texting or phone use. This will weaken neck muscles and tightens upper trapezius to reduce range of motion. Spinal assessments of the neck and upper back are essential to correcting this poor posture finding. What Can An Athlete Do To Correct Poor Posture? At Desired Health Chiropractic we assess biomechanics and neurology of the body so we can find the cause of poor posture before it becomes a chronic issue. We want our athletes to feel, function, and perform at their best. ● Do you suffer with pain most days? ● Have you been told the pain is “in your head” or to just “push through” the pain? ● Are you hard on yourself for not being able to do the things you use to? ● Are simple tasks such as cleaning, shopping, and cooking become such chores that they often go uncompleted? ● Do you find that family, friends, and co-workers don’t understand what you are going through? Living a life of chronic pain is not easy. If your pain is not visible on the surface then it is difficult for family, friends and co-workers to understand what you are going through. We are here to help chronic pain sufferers gain a bit of control back to their lives. Yes, I know it sounds easy and too simple to be helpful, but do not discount the power of fresh, clean water. People often find that if they consume a lot of water on a consistent basis it does help flush out excess toxic build up and reduce widespread inflammation. Just try it for 30 days before you disagree. There is so much research to validate the importance of supplementing with a high quality Vitamin D. We do not get enough here in Minnesota during these winter months. Not only is it good for reducing inflammation but it may enhance mood as well. No pasta, no bread, no wheat – Oh my! It may sound hard to cut this out of your diet, but it is harder to live with chronic pain. Many people have difficulty with dairy products as well as gluten. Try eliminating cheese, milk, and yogurt for an extended period of time to let your body reduce inflammation. Can you believe I am also going to recommend ditching the sugar as well? This includes all refined sugar found in sweets and junk food. But it goes well beyond that – sugar is hidden in most packaged foods. Salad dressings, condiments, sauces of all kinds. One of the best resources I have found is Vinnie Tortorich’s No Sugar, No grain diet. Of course, a chiropractor is going to tell someone to check out chiropractic for chronic pain. But let me tell you why it is essential. The nervous system controls all functions of the body- the heart, the lungs, the digestive system, the muscular system. When there is irritation on the nervous system the body cannot heal properly. Medications only mask symptoms and pain is just a symptom that needs to be dealt with. If you have not considered chiropractic then you are missing one of the key components to improving your quality of life. Don’t you deserve to try it for yourself? I am so confident it will make a difference for you that you can try our office for free. Free consult, Free exam, One Free Treatment! Just mention that you read this article and I will do everything in my power to help you feel better, function better, and perform better. Call Dr. Desiree Van Bogart today 763-205-6192.